In 560 B.C., he asked the Oracle of Delphi if he should make war on the Persians and if he should take to himself any allied force. The oracle replied that if Croesus made war on the Persians, he would destroy a mighty empire. With this prediction and full of confidence, Croesus aligned with Sparta and went to war against the Persian Empire. However, he was defeated and captured by Cyrus the Great of Persia. The powerful empire destroyed was his own. In 2001, Dr. Jelle de Boer, a geologist at Wesleyan University in Connecticut, went to Delphi and measured a naturally occurring mixture of ethane, methane, and ethylene, a sweet-smelling gas that was used as an anesthetic in the early 20th century. This gas was thought to be used by the oracle who served in the shrine as she delivered her prophecies while immersed in a euphoric trance. Thus, we have the earliest recorded instances of natural gas controlling the fate of the world. Another important date would be November 10, 2014. That day, Range Resources drilled the first well in the Marcellus Shale. 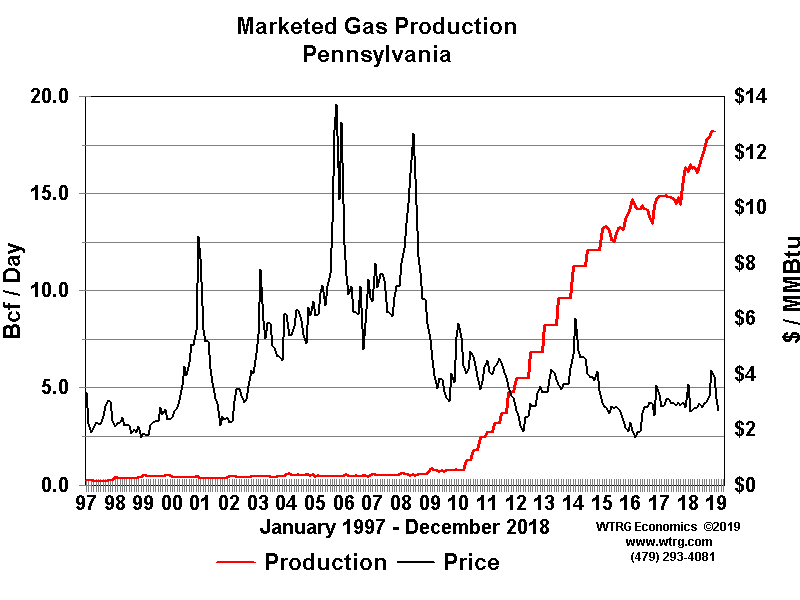 And it’s the Marcellus Shale that has single-handedly propped up the U.S.’ natural gas (NG) supply. Now, I understand that Texas is our largest natural gas producer. Texas has dominated U.S. energy production for more than a century. In fact, marketed gas production from Texas has actually declined since December 2014. Pennsylvania is a different story. Up until 2010, natural gas production in the Keystone State has been essentially nil. It wasn’t until the Renz 1 well was drilled that companies started to realize the potential blockbuster play at stake. Once that first well was completed, it was only a matter of time before the Marcellus was unlocked and tapped. This new supply led to a massive supply glut as drillers started digging wells at a frenzied pace. Natural gas production increased 12% in 2018. In 2019-2020, we can fully expect U.S. year-over-year gas production to increase again. EIA forecasts that dry natural gas production will average 90.2 billion cubic feet per day (Bcf/d) in 2019, up 6.9 Bcf/d from 2018. In 2020, production is expected to average 92.1 Bcf/d. As we’ve seen over the last three years, this supply growth will keep a lid on prices with a range of $2.15/million British thermal units (MMBtu) to $3.30/MMBtu. On the demand side of the equation, U.S. natural gas consumption remains at record levels. Demand will continue to increase as more U.S. power plants switch from coal to NG. In 2019, it is expected that 37% of electricity will come from NG compared to 36% last year. The excess production will go to exports, which will increase as new pipelines and export hubs come on stream. Which brings us to liquefied natural gas (LNG). I recently spent a few days at the Houston Natural Gas conference. The biggest takeaway was that we are swamped in the stuff. In many cases, due to pipeline shortages some natural gas is being sold for a loss. The reasons are twofold. 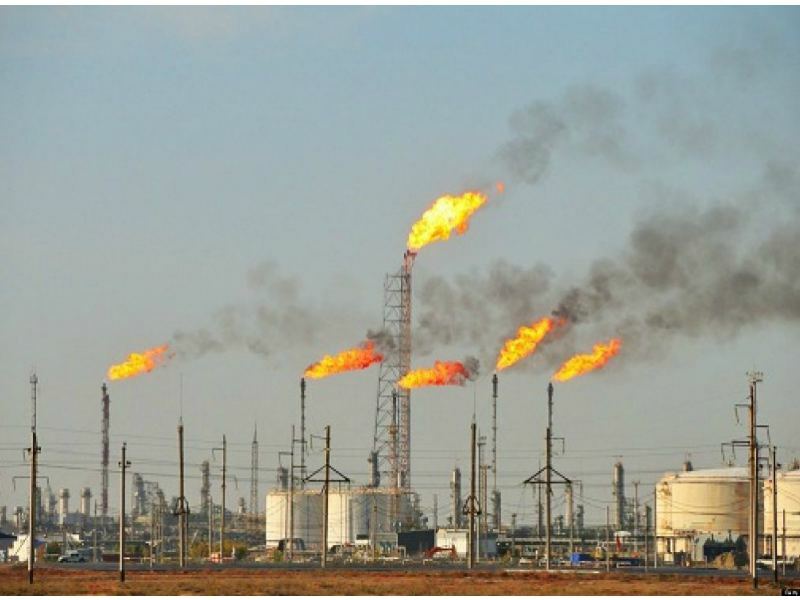 First, states like Texas and North Dakota have instigated new laws to end flaring. You see, natural gas is a natural byproduct of oil production. However, because of its low cost compared to oil, you'd make more money just burning it on site. But due to environmental concerns, this practice has been drastically reduced. This in turn means that the U.S. has a surplus of natural gas and is running out of room to store it. However, when there is an opportunity to make money, someone will be there with the investments. Over the next few years, export capacity is ramping up with a host of new facilities coming online. The U.S. could become the world’s largest LNG exporter. 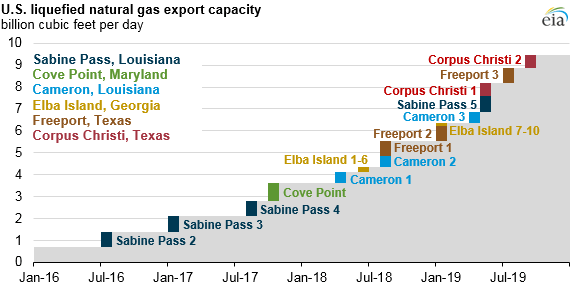 Beyond 2019, U.S. LNG will lead the world. 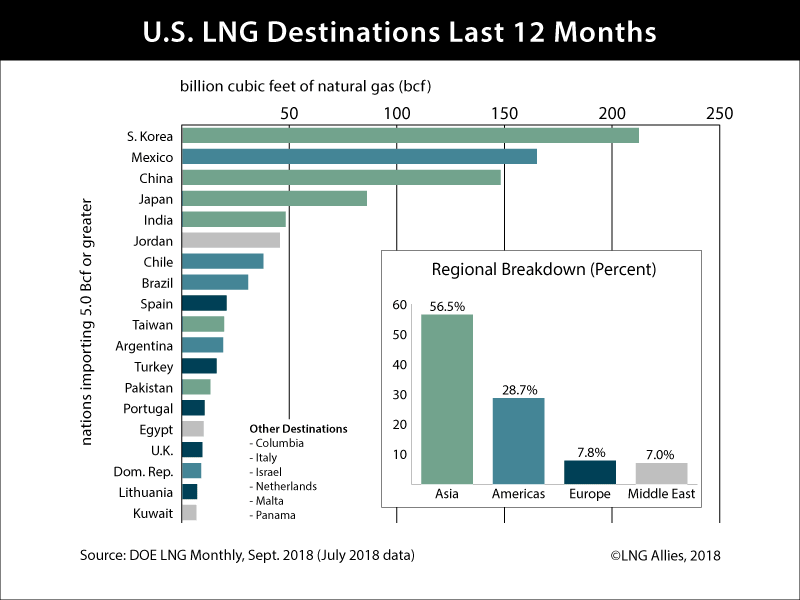 It should be noted that due to a 25% tariff enacted on China last year, U.S LNG is porting in South Korea and Japan before moving on to China. In other words, it is cheaper for China to unload at a third country than get gas straight from the U.S. which is why South Korean imports are so high. There you have it. The U.S. is producing a massive amount of cheap natural gas. New exports facilities are rapidly being built and exports are ramping up. The growth explosion that's about to take place in the U.S. natural gas trade within the next five years is a pure knowable trend and could be the single greatest investment you can bank on in today’s market. Winners will be pipeline REITs, builders of LNG facilities, and LNG shipping companies. I’ve found one such opportunity here. But act now, time is short.